Slip and fall claims are becoming more difficult to settle or win in court. The truth is, the past several years have been good for insurance companies and property owners. Insurance defense lawyers have had a great deal of success convincing juries that injuries are never quite as serious as the plaintiff claims, or the accident was the victim’s own fault. At THE KAPLAN/BOND GROUP, we know exactly how badly a serious premises liability injury or wrongful death case will affect your family. Bone and joint injuries, muscle damage and other soft tissue injuries can result in a lifetime of medical treatment, lost mobility and pain. Winning a fair settlement or jury award requires proving that your life wouldn’t have changed if the property owner hadn’t been negligent. If you have suffered a serious injury in a premises liability accident, don’t assume there isn’t anything you can do about it. The property owner’s insurance company won’t stand up and fight for your financial interests. We will. Our trial attorneys have earned a reputation for excellence that serves our clients well in negotiations and trial. 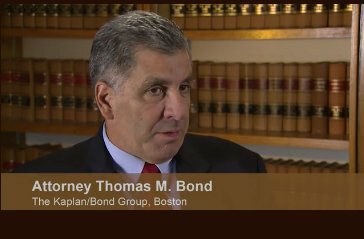 At THE KAPLAN/BOND GROUP, we use the most recent technology, including photography, video footage, interviews, 3-D animation and compelling multimedia presentations in settlement conferences and at trial. Our experienced personal injury trial attorneys provide thorough legal representation through each stage of a case, from initial discovery to closing argument and upwards through appeal if necessary. Even in the most complex premises liability claims, our firm has the experience and resources necessary to help you protect your rights and financial interests.